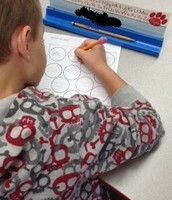 Our mathematicians are continually working hard in math class! 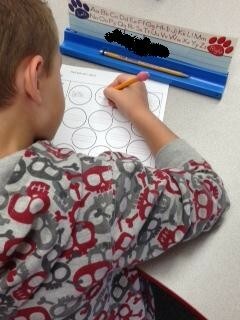 This week we worked on comparing numbers. 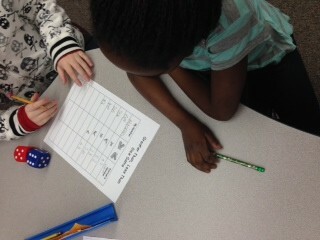 We are using vocabulary such as greater than, less than and equal to when comparing numbers. 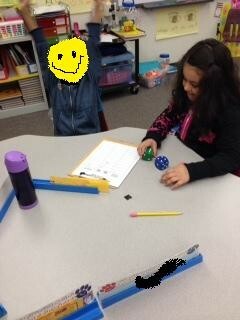 Students rolled two dice and composed a number. Their partner did the same. They compared the numbers to see whose number was greater! 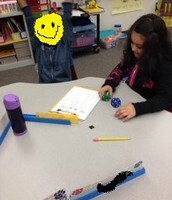 Students practiced using symbols that represent greater than, less than and equal to (>,< or =). Students cheer when they had the greater number! Our children have been working hard all year on Word Work! 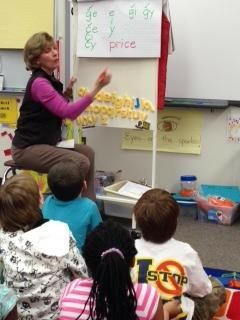 We practice decoding nonsense words every day with Mrs. Hoopes! 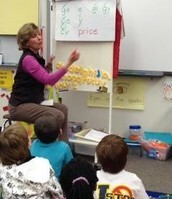 This week we learned the soft "c" and soft "g" sounds. Ask you child: "When does the letter "c" make the soft sound? When does the letter "g" make the soft sound?" We learned that the letters "c" and "g" make the soft sound when an "e", "i" or "y" come right after; like in the word price. 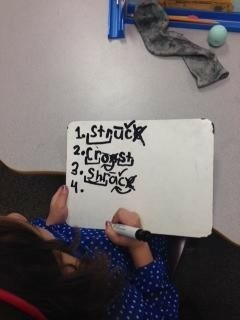 Students used a word bank to write words that made the soft sounds. 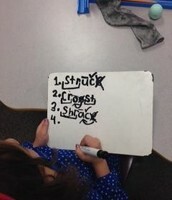 Students mark words and then read them. This week we learned about different parts of a plant and what each part's job is! We then read about a tree that can grow up to 275 feet tall! 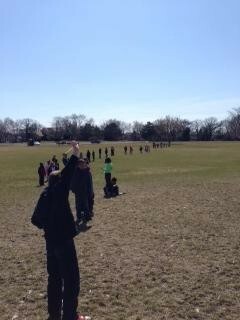 We went on an adventure to give the students a real life perspective of how tall the tree stands. We love watching Kid President videos! Before spring break we watched Kid President and began writing a paragraph about "What are you teaching the world?" The students brain stormed ideas of important things they could teach the world. Please have your child read for at least 30 minutes a night!